Now in its fourth edition, Shubbak festival returns this summer from 1– 16 July 2017, with the best of contemporary art and culture from the Arab World. A key moment in the arts calendar of the UK and the Arab World, Shubbak brings its audiences in London and across the UK new and unexpected voices alongside established artists. Tickets are on sale now for the whole festival. Shubbak would not be possible without the dedication and enthusiasm of its volunteers and interns! We are currently seeking passionate and committed individuals to help us deliver our ambitious programme of events. 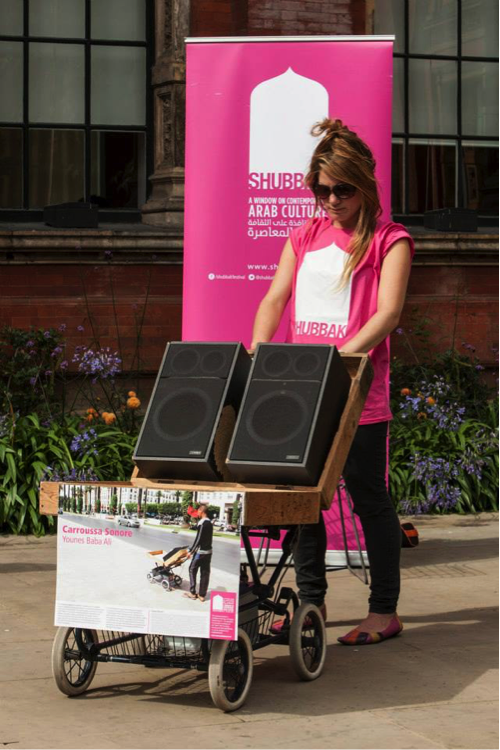 As an integral part of the Shubbak team, volunteers will gain hands-on experience and have the chance to meet artists and industry professionals. Areas of focus include production and technical support, PR and social media, evaluation, and stewarding. Arabic and French language is a plus. If interested please send your CV and a cover letter, also indicating your availability in June-July 2016, to reem@shubbak.co.uk. Deadline for applications is 7 May 2017.